There's been quite a few adjustments I've made throughout my journey to a healthy, happy lifestyle and one of those is I never use a microwave anymore. I rarely used it before in all honestly, but I did used to occasionally cook my porridge in it, cook vegetables or heat food whereas now I don't touch the thing. I thought I'd share why I've got rid of my microwave and hopefully encourage you to do the same. When I eat my food I want it to be doing me good, I want all the goodness it can provide me with and I want my cells to soak up every nutrient possible but when you cook food in a microwave those amazing nutrients are destroyed. You could put a plate full of the most nutrient dense, wonderful food into the appliance and it'll come out striped of goodness! The microwave radiation changes the molecular structure in your food which diminishes it's precious nutrients, pretty scary and definitely not what you want if you're on a healthy, happy path. A 2003 study found that a broccoli prepared in the microwave lost 97% of it's valuable antioxidant content through the cooking process! If you microwave food in a container (even if it's marked 'microwave safe') you could be ingesting numerous toxic chemicals. When the container heats up the chemicals in the product can leak into your food! Many of these chemicals have been linked to diabetes, lack of brain development, prostate disease and more. When a container is marked 'microwave safe' it's important to remember this just means it won't explode, melt or start a fire...not that it's actually safe for your health. On top of all this microwaving food can elevate cholesterol levels, decrease red blood cell count and could even contribute to anaemia. 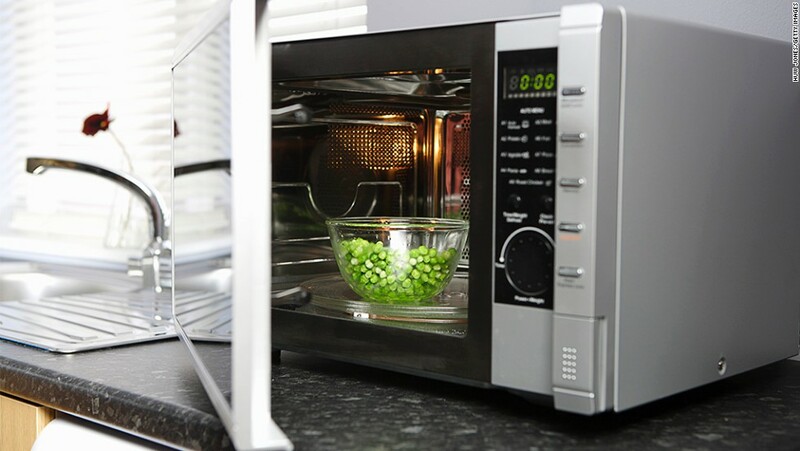 There is even evidence to suggest that consuming microwaved food can elevate blood sugar levels! So, why would you want to microwave food? It tastes bad, isn't cooked properly and can be very dangerous. Steaming, gently sautéing, baking and roasting are far better options that can be just as quick but give the food you're eating loads more flavour and a lot more nourishing power.